ILLEGALS SENT TO SANCTUARY CITIES? ANY PROBLEM WITH THAT? In case you need a definition of “They’re going to attack you no matter what you do”, read the following two excerpts from Priscilla Alvarez and Evan Perez’s article for cnn.com. President Donald Trump said Friday that his administration is “strongly looking at” the possibility of releasing immigrants into so-called sanctuary cities in part to retaliate against Democrats, undercutting earlier denials from his own administration officials. “In California, the governor wants to have a lot of people coming in, refugees coming in, a lot of sanctuary cities, so we’ll give them to the sanctuary cities maybe to take care of if it’s that the way we want it,” he said during an event at the White House. Translation: President Trump is telling the people who openly advocate illegals streaming into the country that he is considering sending the resulting tidal wave of illegals to where they live. Do you have any problem with that? If so, why? Uh…wait a minute, Ms. Etienne. Isn’t Trump’s suggestion that the “sanctuary” cities and states which advocate for illegals to be welcomed into the country should be the ones who accept the illegals they are offering sanctuary to? If this is using them “as pawns in a warped game to perpetuate fear and demonize immigrants” (please note the lack of any reference to their being here illegally), what do you call the people who are ADVOCATING for them to come here? What are they engaging in? In other words, your show of public outrage and fury is over President Trump suggesting that the people who want illegals here should be the people who receive them. Isn’t that specifically what they are in favor of? This, folks, is a classic case of NIMBY (Not In My Back Yard). 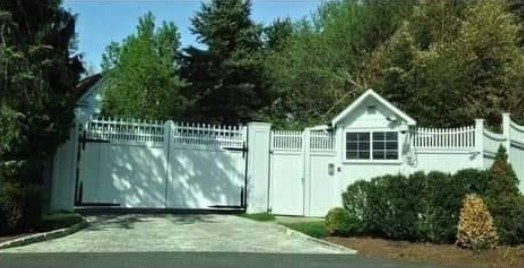 A hypocrisy right up there with the people who demand that we have no border walls, but live in mansions with walls around them. Asking again: if politicians in some cities/states invent “sanctuary” status (absent any legal basis for it, unless you think state law supersedes federal law) for illegals to come into the country and stay here, why would they have any problem with the illegals being channeled to their cities/states? Anyone have an answer? I’m all ears. THIS GUY HEADED THE FBI???? The Left’s plan has worked beautifully to overload the immigration system until it breaks. We have so many illegals crossing the southern border added to the ones here already and we see a backlog a mile long at the immigration courts. But this isn’t a crisis, according to the D’s.